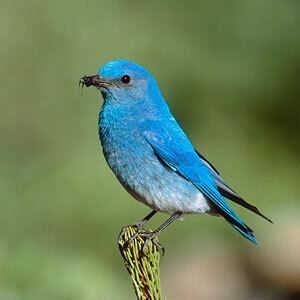 Both the mountain and western bluebirds can be found in Nevada, although the mountain bluebird is more widespread. Bluebirds are usually found in fields, open woodlands, parks or along golf courses or other open areas, including suburban locations with open spaces and scattered tress. In the mountains they are found in clearings and meadows. The mountain bluebird nests throughout Nevada in appropriate habitat. 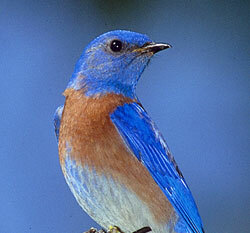 The western bluebird nests in the western and southern part of the state but its range extends across the state during migration. Both species will produce one, two or sometimes three broods a year. If you manage a nest box watch for house sparrows trying to move in and immediately remove all house sparrow nesting material.